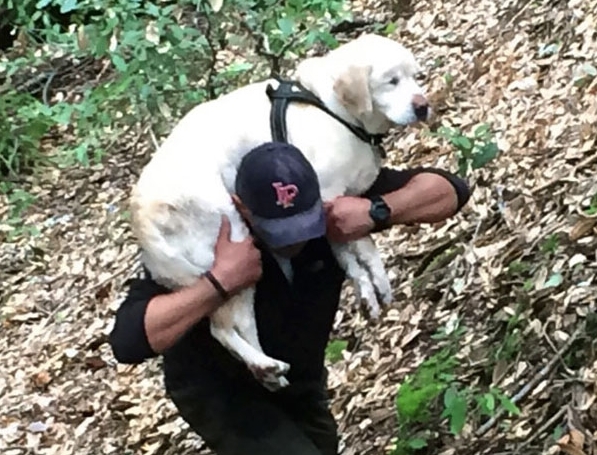 An off-duty firefighter rescued a blind elderly Labrador after going missing in the mountains for more than a week. Owner Beth Cole said her family went to bed on February 24 from their home in Boulder Creek, California when 12-year-old Sage went missing. 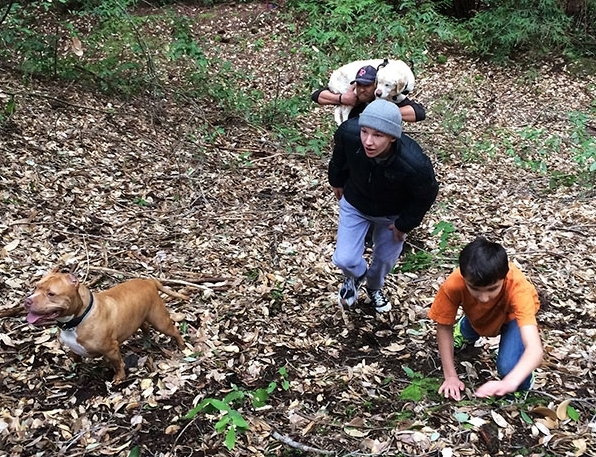 The Cole family asked members of the local community to help find their missing dog, but as the hours and days passed, they were increasingly fearful that Sage would not make it. 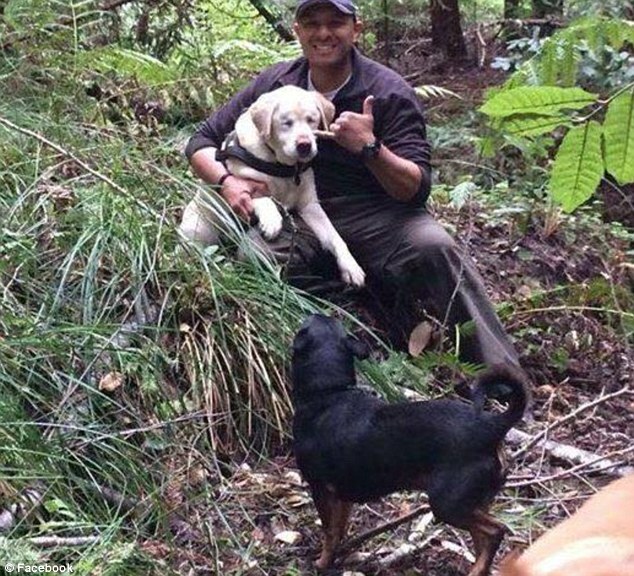 Off-duty firefighter Dan Estrada was out hiking with his friend Victor Lopez when he spotted what he thought was some rubbish dumped in the stream. He said: 'At first I thought it was a garbage bag in the water. My vision is not very good so it wasn’t until I got closer that I saw it’s actually a white lab laying there lifeless in this stream - her chin just above water level. He said it was threatening to rain so Sage probably wouldn't have lasted another night in the open. 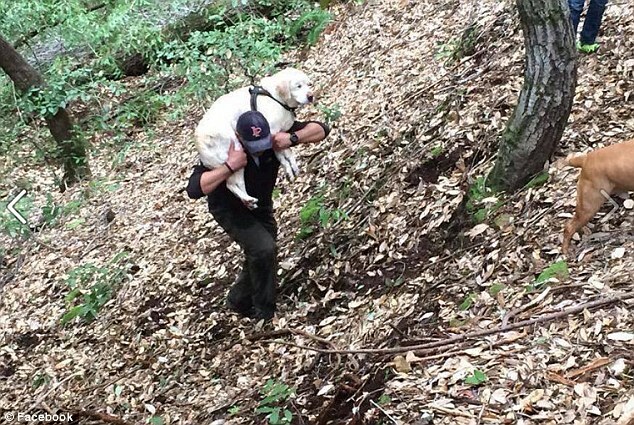 As a result of the successful rescue, a fundraising event is being held in Joe's Bar for the Santa Cruz County Animal Shelter on March 18 between 4-6pm. 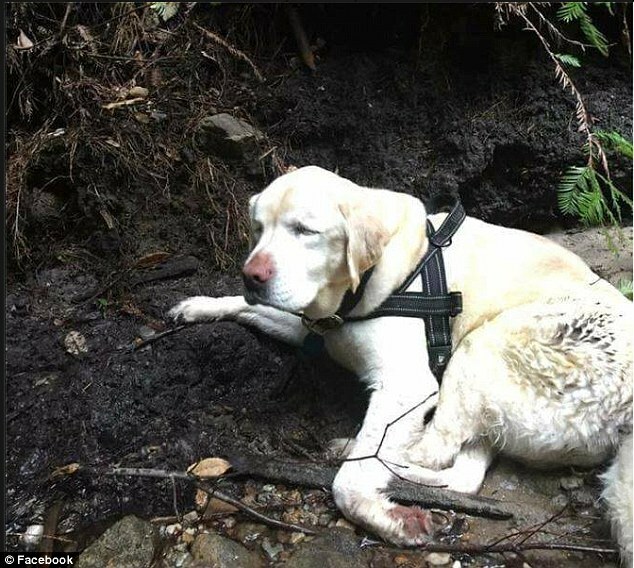 Responses to "Blind dog is found in the California mountains a week after going missing from family home "
That is one lucky dog! and good person Dan was in the right place at the right time. I have cats, one night, Gracie kept bugging me. I couldn't figure out what she wanted. The next morning, Claire was waiting outside to come in. Now I make sure to check that everyone is where they belong. 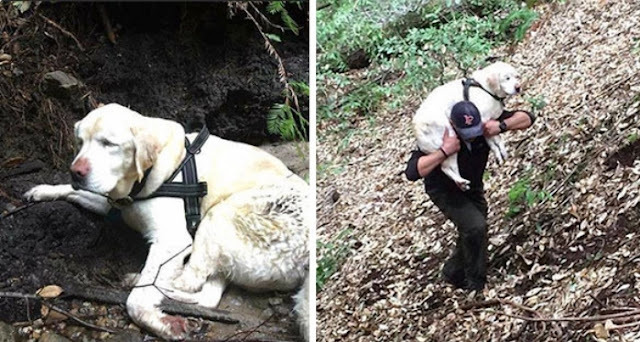 Awww such a precious dog and so happy to know there are such good people in the world to care for lost doggies like sweet Sage. God bless Victor!! !